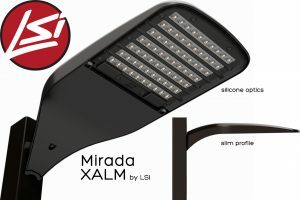 LSI unveils Mirada architectural LED Area Lights LSI Industries is proud to announce its new Mirada series Area Light (XALM). The Mirada’s main strength is its industry-leading photometry through an exclusive, patent-pending optical system. Its performance is excellent, with 36,000+ delivered lumens via precise silicone optics that resist scratches and discoloration over time. The cULus Mirada Area Light’s contemporary and sleek design makes it perfect for architectural applications. 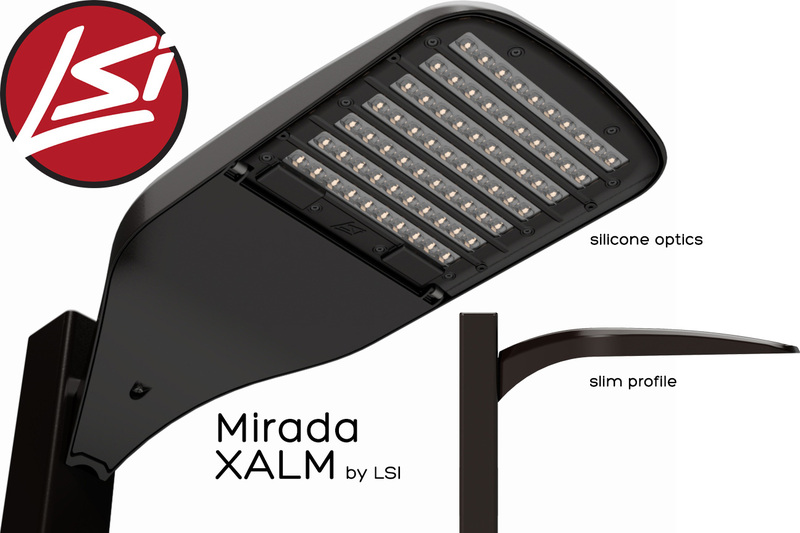 From a cost standpoint, LSI Mirada Area Lights are competitive, since they feature die-cast aluminum housings. Award-winning integral wireless controls are also an option, as are matching Wall Packs (XWM) in the Mirada series.